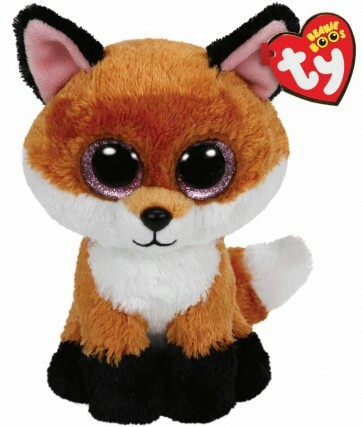 Cuddle up with this adorable TY beanie plush toy. A sure favourite and great for that collector in your life. Slick has brown fur with black feet. His ears are black and pink. Ty Beanie Boos are the cutest collectible plush friends in the world. From Unicorns to puppies and cheeky meerkats. There is a Beanie Boo friend for everyone. Princess Tiana Plush Doll Toddler - 12"
Princess Mulan Plush Doll Toddler - 12"
Tinker Bell Plush Doll Toddler - 13"
Officer Judy Hopps Plush Talking - Zootopia 13.5"
Tiana Plush Doll The Princess and the Frog 20"